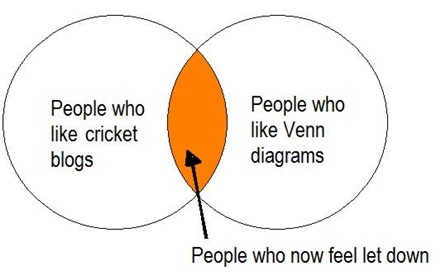 Is there enough interest in cricket Venn diagrams to warrant making it into a regular feature? After literally more than one person complained after we didn’t provide one, we feel there is. The above is by prbass and is an excellent Venn diagram with which to kick off. The people in that orange section should be quite pleased now. 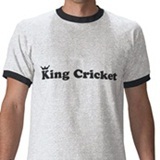 If you’ve got something cricket-related you want to express in Venn diagram form, send a Jpeg to king@kingcricket.co.uk and we’ll upload it onto the site the next time we decide we’d rather go to the pub than write something ourself. Venn had other skills and interests too, including a rare skill in building machines. He used his skill to build a machine for bowling cricket balls which was so good that when the Australian Cricket team visited Cambridge in 1909, Venn’s machine clean bowled one of its top stars four times. Here’s a link just for you, you poopy head. One, the adverts aren’t for regular readers. They’re for people who arrive at the site having searched ‘sixer king yuvraj singh’. 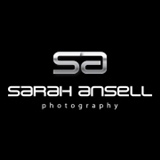 Two, those adverts will never… *never* appear on this site. It needs another circle saying ‘People who like hover text’. Running this website increasingly feels like driving through an area heavy with speed cameras. A couple more oversights and there’ll be 12 points on our licence. I don’t like the Venn shoes. The description says “Fly straight into his heart”. WHAT? Fly straight into his heart? That’s a reason to buy shoes now? I may have caused some of the hovering. I’m very old and don’t know a jpeg or a jrod from my elbow. i’m very sorry. I’m pretty sure Price had to go back about 3 years of posts after he discovered the hover text feature. I only went back about a year. The nasty thing about the hover caption is that while most of them are complete dross, the odd one’s really good, so you have to wade through the dross just in case.